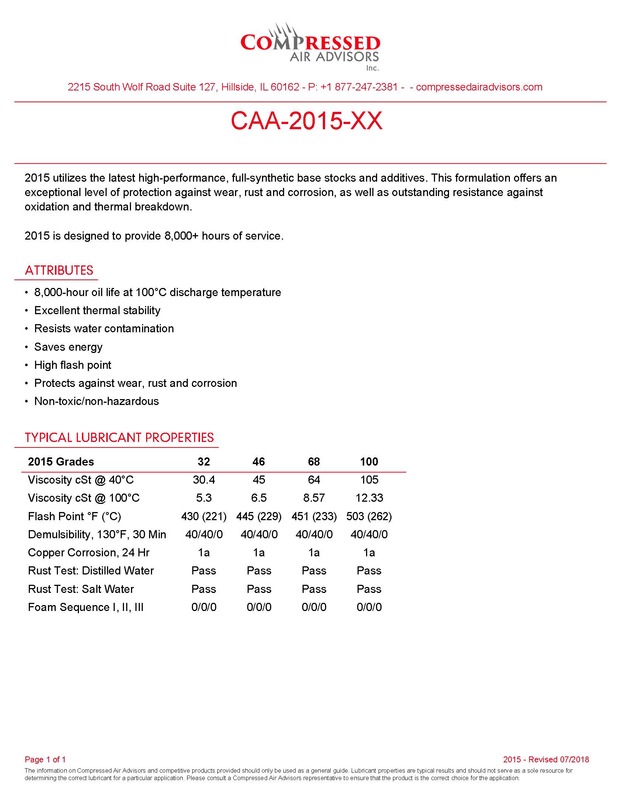 CAA-2015-46 utilizes the latest high-performance, full-synthetic base stocks and additives. This formulation offers an exceptional level of protection against wear, rust and corrosion, as well as outstanding resistance against oxidation and thermal breakdown. 2015 is designed to provide 8,000+ hours of service. *Compressed Air Advisors, Inc. is not affiliated in anyway with Original Manufacturer "OEM" in any way. The OEM's names are their trademark. The use of the OEM name is cross referencing of part numbers only. Get news, promotions and discounts - straight to your inbox.